This curated collection is especially formulated to holistically nourish dry and irritated skin back to a healthy and hydrated glow. 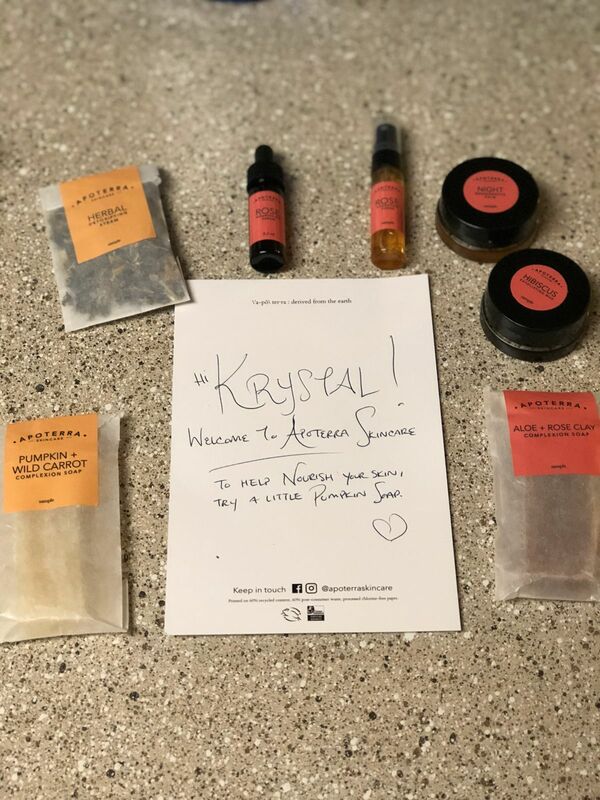 Using the power of plants, minerals, and natural humectants, this facial kit will deeply hydrate the skin, exfoliate away dead skin cells caused by dryness, and increase circulation to improve your body's natural detoxifying system.You’ll also notice improved elasticity. Collagen-boosting and cell-communicating ingredients properly nourish the skin by delivering, antioxidants and vitamins that keep skin at optimal health. This clay soap will gently exfoliate and cleanse without over drying the skin. Made with concentrated aloe extract to nourish and rejuvenate unhappy skin, French pink clay to exfoliate and also detoxify, and organic rose petals to tone and nourish. When skin needs deep hydration, this hyaluronic acid and rose water spray will provide it at a cellular level. It’s boosted with rooibos tea, aloe vera, and a frankincense hydrosol to keep dull dry skin at bay, any time of day. The rose water blend includes damascus rose water for its toning properties, geranium hydrosol for balance, and rock rose hydrosol for its cell plumping action. Rooibos clarifies and delivers a boost of antioxidants. A vegan version of hyaluronic acid acts as a natural and safe powerful humectant that attracts and retains water in the skin, leaving your skin hydrated and silky smooth. A deeply hydrating moisturizer powered by collagen stimulating CoQ10, nourishing rose absolute, and a blend of vitamin-rich oils such as rosehip, pomegranate, and evening primrose. The vitamin and antioxidant-rich plant oils work together to increase elasticity, prevent moisture loss, stimulate collagen production, and promote a youthful glow. A two-in-one scrub and mask made with nutrient-rich honey, flowers, and berries to gently exfoliate, remove dead skin cells and increase circulation. The natural antibacterial and cleansing properties of honey, combined with the exfoliating power of hibiscus and fruit, leaves skin feeling and looking brighter, smoother and healthier. Mornings // If you’re prone to dry skin, skip the AM lather with soap. Instead, soak a cotton pad with our Rose Hydrating Toner to cleanse and refresh skin. Mist a few more pumps of the toner for added moisture and then follow by massaging 6-10 drops of the Rose Nourishing Serum into skin. Evenings // Cleanse using our Aloe + Rose Clay soap. Follow by generously misting the Rose Hydrating Toner directly onto the skin and then massaging a small amount of the Night Regenerative Balm into the skin. The moisture from the toner will help the balm emulsify into a cream that melts into skin. Weekly // 1-3 times per week, either follow or replace our Aloe + Rose Clay soap with the Hibiscus Exfoliating Mud to exfoliate and deep clean skin. This will remove dead skin cells, smoothen the surface, promote cellular renewal, and improve circulation. For directions on exactly how to use, visit the product’s listing page. Follow with our hydrating toner and regenerative balm. 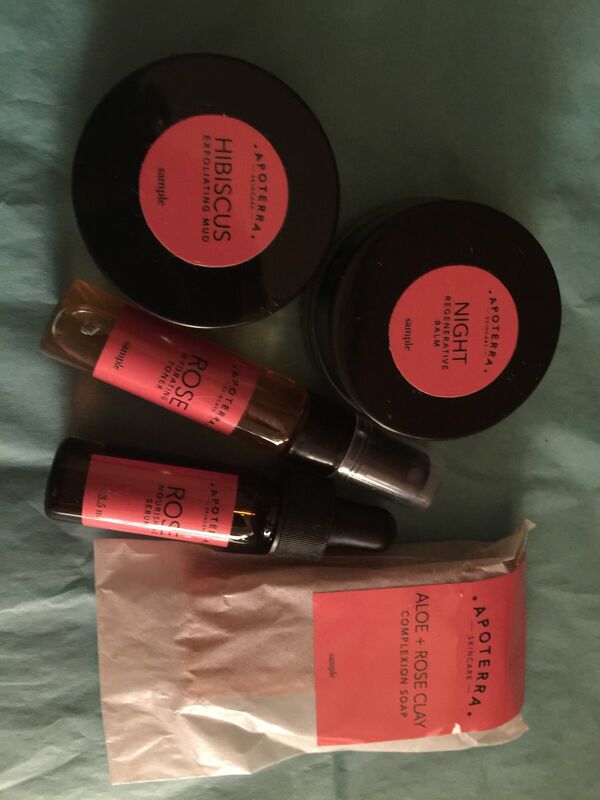 Rachel E. Reviewed by Rachel E.
I love this product! It makes my skin look amazing and the ingredients meet my standards. krystal r. Reviewed by krystal r.
I have always struggled with very sensitive, red, inflamed and uneven skin. You name it, I’ve tried it to only be left frustrated and spending hundreds of dollars of products that simply didn’t work. When I came across these products I was intrigued that not only were they affordable but they were organic. In my efforts to find products that would heal my skin and make me feel comfortable in my own skin, I thought why not give it a try. I bought the sample kit and within two days I was hooked and placed my order for the full size kit. My fiancé was commenting everyday saying how amazing my skin looked and that it was “glowing”. I went from wearing tons of makeup to feel confident enough to leave the house, to now being able to wear minimal makeup. My skin is much less red, glowing, and feels so incredibly smooth! I am so thankful for these products and grateful for the confidence they have given me! I will forever be a lifelong customer! Perfect for "on the go" skincare. These fit right into my skincare zip pouch. No leaking or mess. I am so happy to have travel sizes of my favorite products with me when I'm on the go! It is immediately apparent how much care is put into these products. Within two days I noticed a drastic increase in the hydration of my skin. Other people have even noticed, telling me that I look like I'm glowing. I am way into this! !